Welcome to Alba Yarns. We are now heading into the eleventh year of trading and have learned much from our customers feedback. Feel free to drop us a line to let us know what you like, love or loathe. We are currently working to upgrade the website to make it easier to use as well as introducing some amazing new producers. 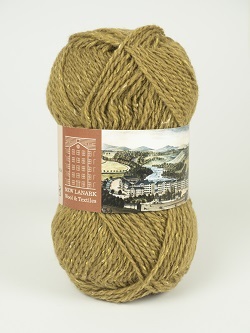 At Alba Yarns you can buy great value hand knitting yarns from New Lanark Mills, Debbie Bliss, Sirdar, King Cole, and lots more. Of course it's not just wool and other yarns, but pattern books and individual patterns from a selection of great designers, and the essentials of the craft with high quality knitting needles, crochet hooks and a host of other knitting accessories. Unlike many websites we show only yarn that is in stock. This is limited by the amount of storage space we have; but if you want something not in stock, just drop Alison an email and she'll let you know the timescale for a special order. Simply choose the type of items you want to buy from the list on the left and then choose your favourite brand. Check out is easy .. simply add the items you want to your shopping cart and when you are ready to check out ... click check out! A running total of your purchased goods is displayed on the top left of the page, above the Products menu. You can pay securely using Paypal (you do not need an account) or pay by cheque in Sterling or by bank transfer. If you wish to pay by either of the latter two options, please just email us with your order and we will send you an invoice with the relevent payment details and we'll keep your order aside until we receive payment. Started in 2006, in Scotland, Alba Yarns went on its travels with Joyce as she moved the family run business to South West France where she built up a base of very satisfied clients. Joyce is now enjoying a well earned retirement and the mantle has been passed onto Alison who brought Alba Yarns back home to Scotland. As well as stocking the beautiful and affordable yarns that Alba Yarns has become known for, Alison will be introducing some of the growing range of amazing yarns produced in Scotland starting with the fantastic wools from New Lanark Mills in the Clyde valley. She hopes you like them as much as she does! Why "Alba"? Alba is the Gaelic name for Scotland. If you have a knitting problem, Alison will try to help, and if she doesn't know how, she'll ask her knitting guru - her Mum! Finally, if you are a 'Raveler', please say hello - you can find me as MoondancerAl . 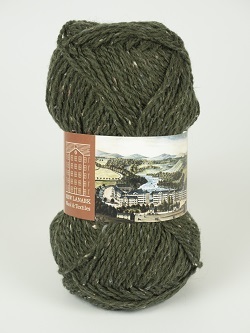 New Lanark Mills yarns are in stock and online. Orders are posted Monday - Friday using Royal Mail First Class and International Standard. Please note that shipping prices do not include a 'signed for' service. If you would prefer this please contact me and I can send you an adjusted invoice. Alba Yarns uses Royal Mail First Class within the UK. Items in stock are normally dispatched within 24 hours and should be with you the day after dispatch. All other orders use Royal Mail International Standard and will normally be dispatched within 24 hours if in stock. Orders to the rest of Europe should take 3 - 5 working days, and orders to the rest of the world should take 5 - 7 working days for delivery. Please note that Royal Mail do not class items 'lost' until 10 working days after dispatch in the UK, and longer for overseas destinations. Until this point they are only 'delayed'. If you haven't received your delivery within 2 weeks in the UK and 4 weeks for overseas deliveries please contact Alba Yarns. Alba Yarns is not liable for any custom charges levied by international authorities. The item I require is not in stock - can you get it for me? 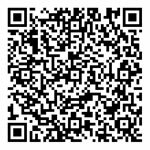 Unlike some yarn shopping sites, we only show our current stock holdings. If you need a colour or quantity that is not in stock, we can order it for you. However, this may incur a small special order shipping charge. If this is the case will we will advise you prior to placing the order. How secure is ordering on line? Pay online without worrying: PayPal enables you to pay without sharing your financial data to a third party. PayPal automatically encodes your confidential data with the best technologies available on the market. Do I need to have a Paypal account to order? No. You can pay with your credit or debit card (Visa, MasterCard) - all without having a PayPal account. I would prefer to pay by cheque or bank transfer - can I do this? We can accept cheques and bank transfers in £ Sterling only. If you wish to pay by cheque or bank transfer you cannot order online, but just email with your order, we will send an invoice and your goods will be laid aside until your payment arrives. Please note, for cheque payments orders will not be dispatched until payment is cleared. As Alba Yarns is wee, it doesn't charge VAT. That means we can pass that saving on to you so that you can buy more yarns for your stash. If the goods are faulty or damaged you can return them and we will refund the original cost and your return postage. Patterns and books are non-returnable due to copyright. Yarn will not be refunded purely because the colour is not as expected. Even with the best of technology colours vary from screen to screen. We will exchange or give you a credit for other items, if you return them to us in an unused and undamaged condition with ball bands intact. Please contact us within 48 hours of receiving you order. Except when goods are faulty or damaged you will be responsible for any return postage. please note Alba Yarns is not a bricks and mortar store so don't be planning a trip to visit us, we sadly can't accept visitors. All your data is treated as strictly confidential and never, ever passed on to third parties. We only use your data to process your order and make sure you receive the right items to the right address. We DO NOT send out generic marketing emails. Alba Yarns does not have access to your payment details as they are held securely by PayPal and are never passed to us. If your question is not answered here, please contact us and we will be happy to help.